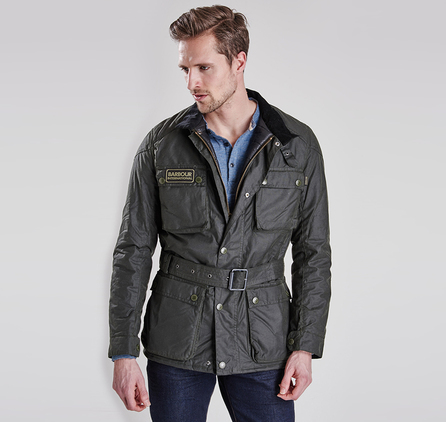 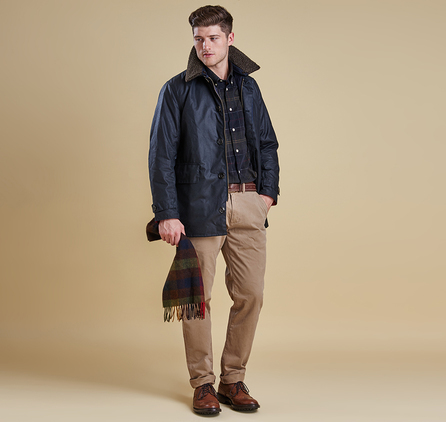 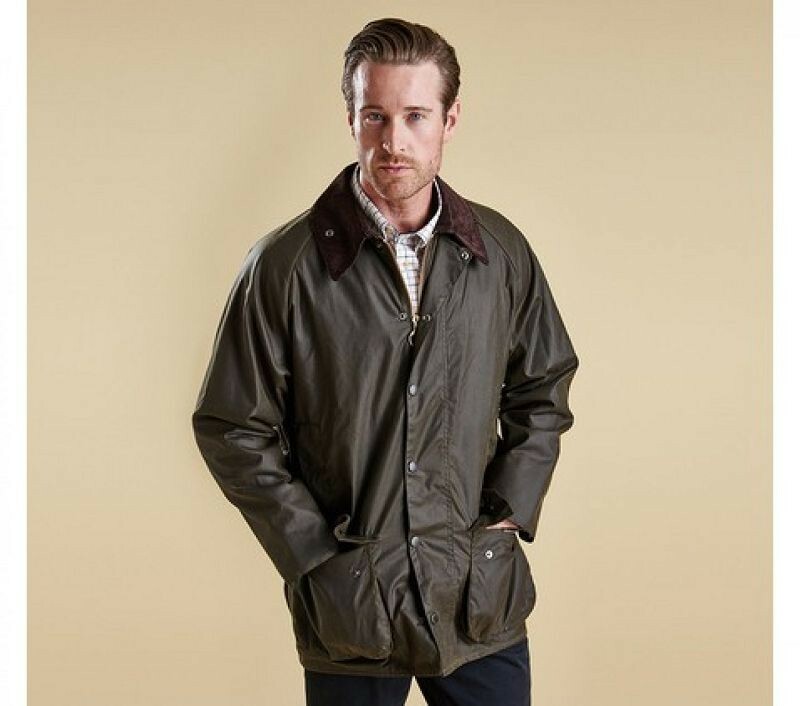 Inspired by the classic mac, the Arding is a smart men's wax jacket detailed with subtle flashes of Barbour's signature Classic Tartan. 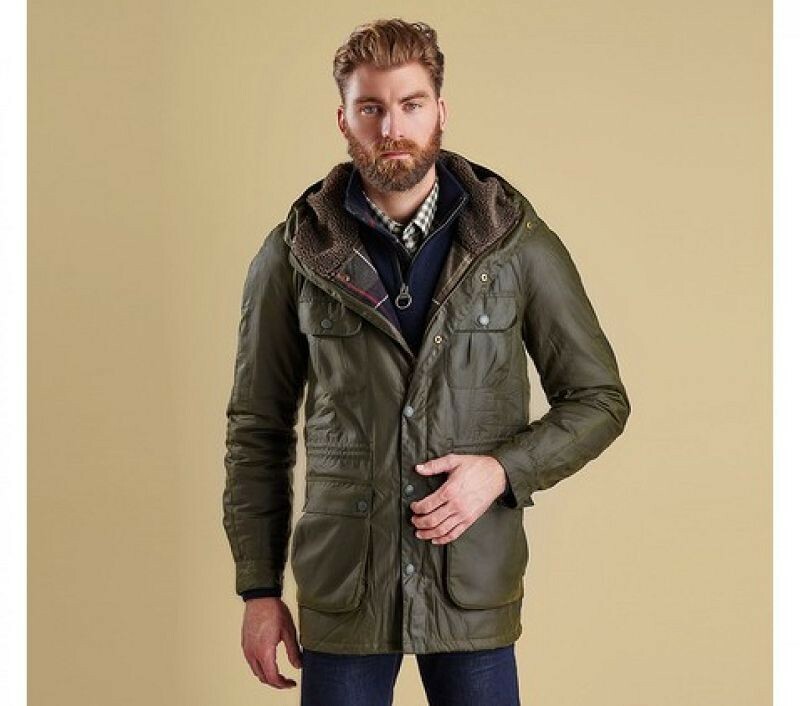 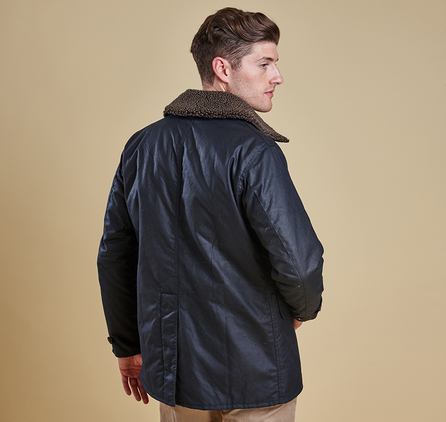 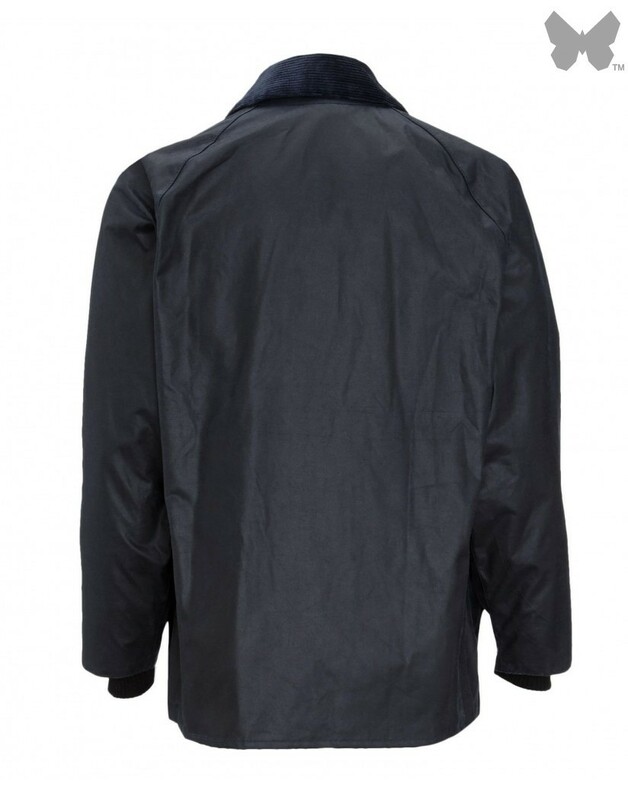 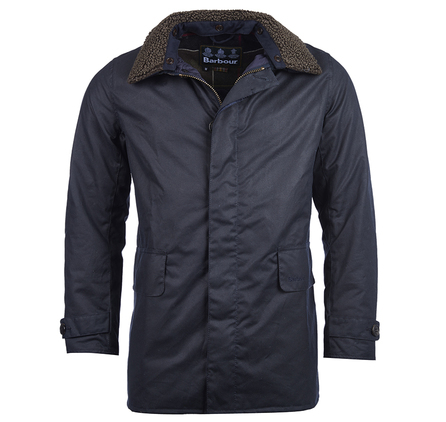 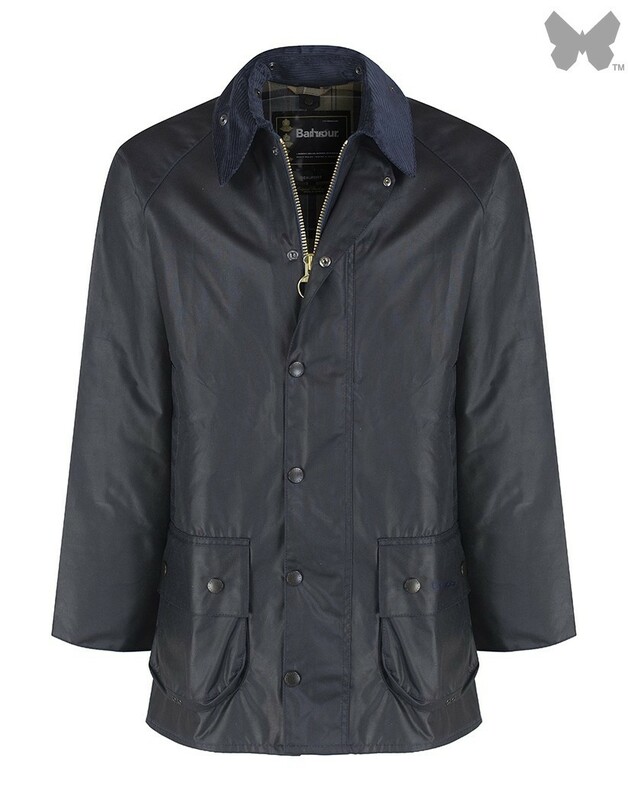 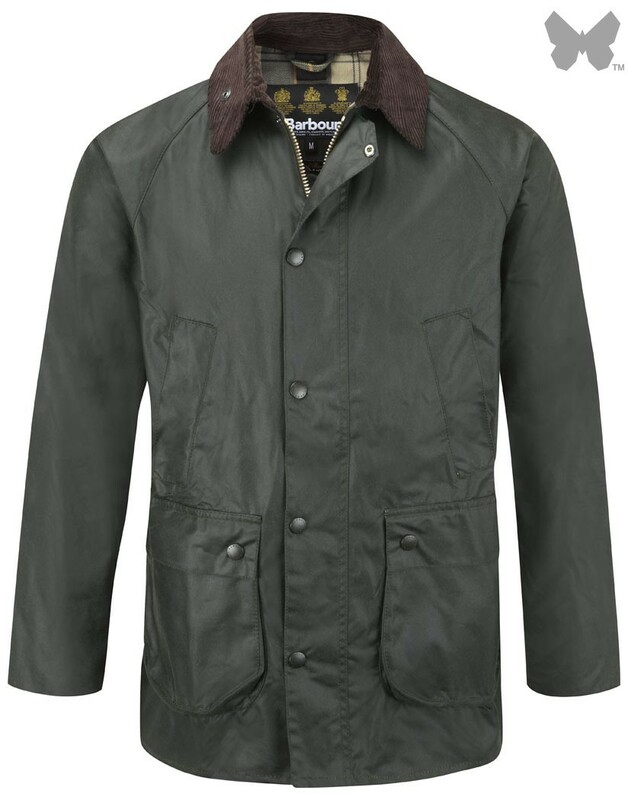 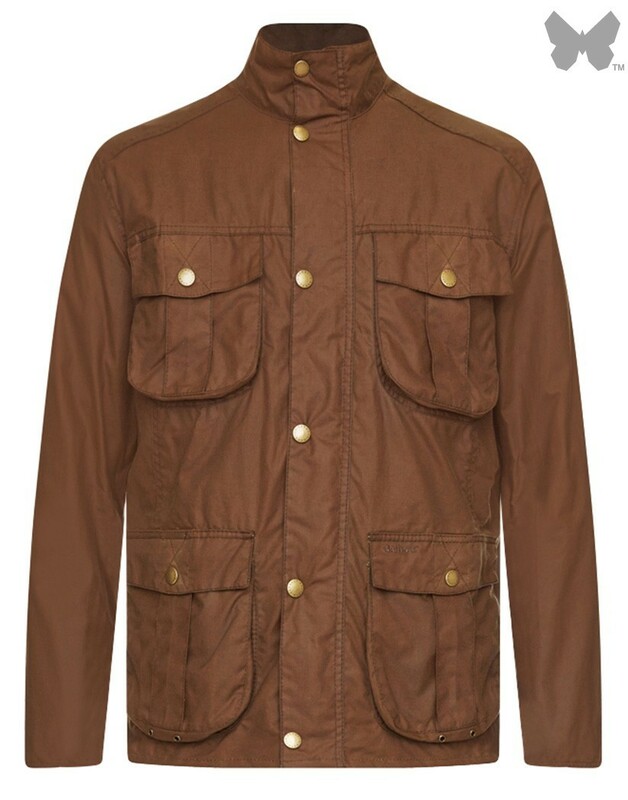 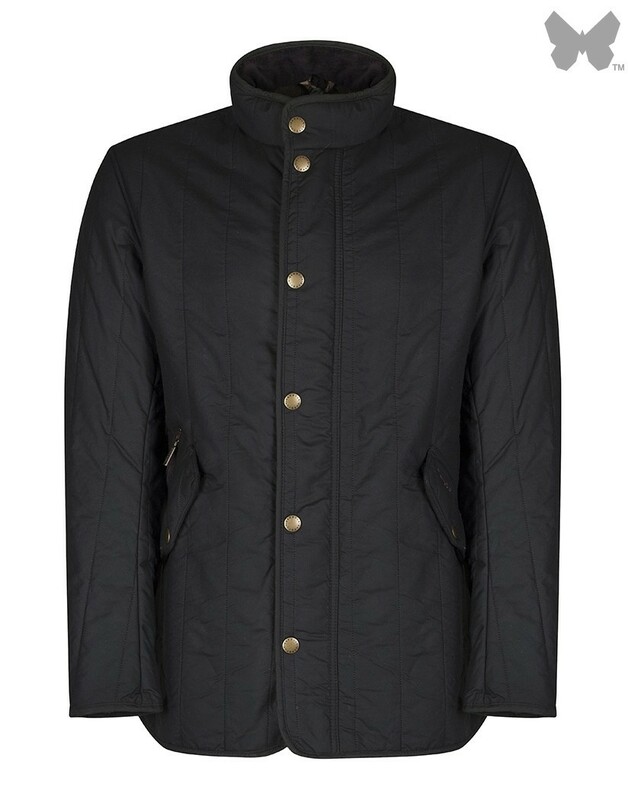 This sharply styled jacket is made with a heavyweight Sylkoil waxed cotton outer and insulating wadding to the body and sleeves, making it a perfect choice for the winter months. 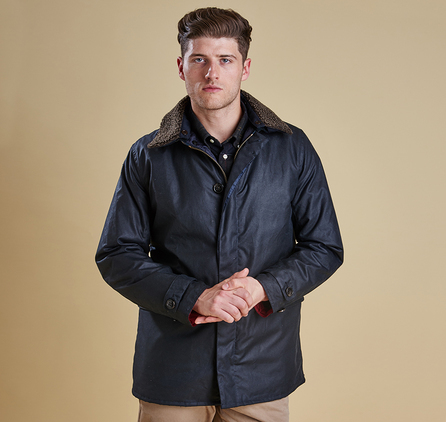 The sit-down collar is trimmed with cosy Berber fleece and features a traditional stud-close throat tab, which can be fastened to offer extra protection for the face and throat. 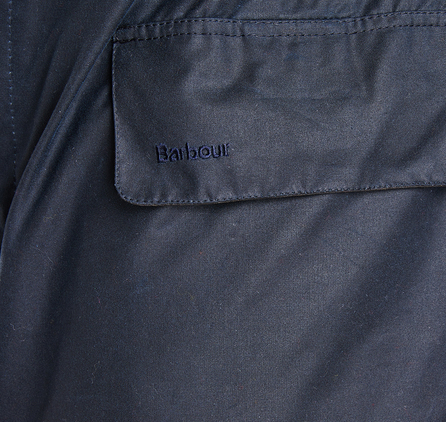 A concealed placket and neat pocket flaps keep the look clean and understated.